Chris E. Tsintolas, D.D.S., M.S. Welcome. We’re glad you're visiting the website of Dr. Chris Tsintolas, an orthodontist in Gaithersburg, MD. Welcome. We’re glad you're visiting the website of Dr. Chris Tsintolas, an orthodontist in Gaithersburg, Maryland. Our specialty is creating healthy, stunning smiles. We have been entrusted with the care of children, teens and adults since Dr. Tsintolas opened his private practice in 1987. We recognize each patient as an individual with unique needs and personal treatment goals. Modern orthodontics offers outstanding options for your customized treatment plan. As that plan is implemented, each office visit brings you closer to the magical day when your new smile is unveiled. We remain available to you after treatment is completed to maintain that special smile. You also may be a candidate for targeted appliance therapy tailored to overcome bite-damaging habits, redirect jaw growth, or accomplish minor tooth alignment. Sometimes treatment calls for braces along with corrective surgery to address tooth and jaw misalignment. Often referred to as surgical orthodontics, Dr. Tsintolas works closely with an oral surgeon to manage your care from start to finish. Dr. Tsintolas works with many dentists and specialists to align teeth in preparation for crowns and bridges, implants and cosmetic procedures. 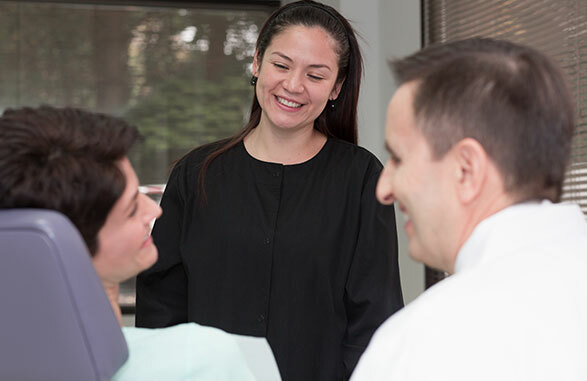 Coordinating care with a periodontist can greatly help those with gum disease better maintain their teeth and resolve the detrimental forces of an uneven bite on gum and bone health. Dr. Tsintolas also can help those with pain and improper function of the temporomandibular joint (TMJ). He is experienced with occlusal splints, which relieve TMJ discomfort. He also offers night guards to assist people who clench and grind their teeth. 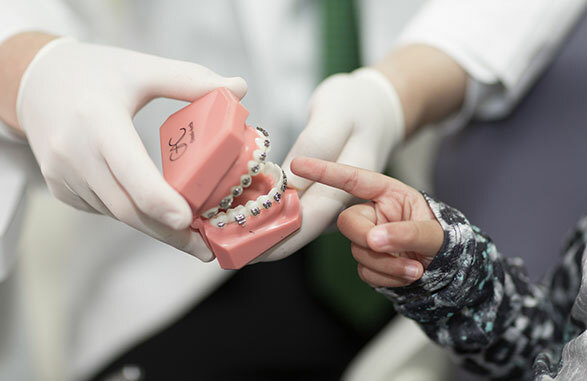 You can rely on Dr. Tsintolas because he is an orthodontic specialist trained to evaluate your needs and prescribe the most appropriate treatment just for you. The art and science of orthodontics is transformative. Please view our patient before and after photos to see their amazing changes. Are you or a family member ready to begin a personal transformation? Take the first step toward an amazing smile by contacting our office to schedule a complimentary orthodontic consultation. As always, from the moment I enter the office until I leave, all of the staff are professional and friendly, greeting you with a smile and a welcoming comment. Dr. Tsintolas's bedside manner makes you feel relaxed and at ease with the service to be rendered at that appointment. I had such a great experience going through having braces with Dr. Tsintolas and his staff at his orthodontics practice. Everyone was so pleasant and nice, and my time there couldn't be any better! From no wait times, to gentle touches as everyone worked on my teeth, to the greatest advice and knowledge from Dr. Tsintolas, I had an amazing experience watching my teeth transform into a beautiful smile! Thank You Very Much to everyone there... My experience was perfect!! You guys are the BEST!!! I had my braces 9 years ago! My teeth are just as beautiful as when the braces were removed. The office staff are caring and organized. No long waits here. Dr. Tsintolas is an skilled artist by the way he improves your teeth. Oh by the way, I'm no kid. I'm over 65 years old. Dr. Tsintolas and his staff have been fantastic. The have always been prompt, courteous, and very kind. My daughter's smile is just perfect! 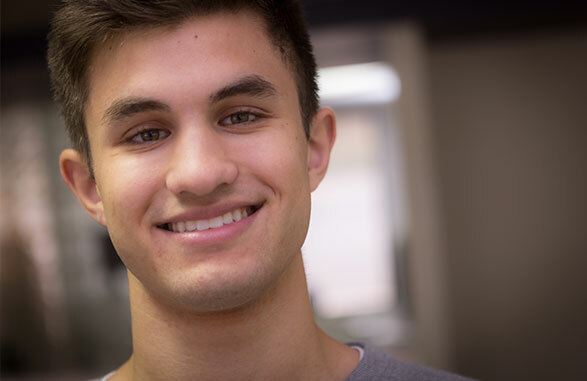 I would highly recommend Dr. Tsintolas and his staff for anyone in need of orthodontia.